I can still remember holding my daughter, Elise, for the first time. I could talk about how magical it was, (it was!) or how there were angels singing (there weren’t), or how instantly smitten I was. But you wanna know the feeling that really sticks out? Terror. Yup, somebody just handed me–a complete mom-newbie–a fragile floppy baby and let me take her home a few days later, no questions asked. Am I the only one who gets freaked out by that?! I mean, shouldn’t there have been some sort of mother-test to make sure I was worthy? Anyway, like most people who hold babies for the first time, I was super careful to support her head AT. ALL. TIMES. The days went on and I remember just getting more and more paranoid that her little head (okay, HUGE head) was too much for her tiny neck. It was just so…floppy. But hey, that’s a newborn for ya, right? 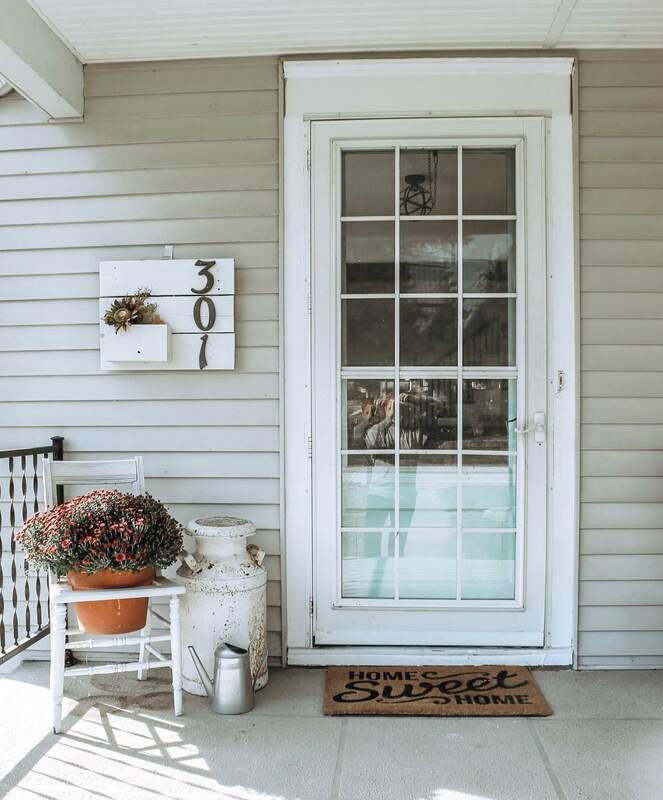 Nobody else seemed to think anything of it, and honestly, neither did I. I just waited for the day when she would be strong enough to offer at least a little support of her own head, and I could stop having baby-whiplash nightmares. When I tried using Moby wraps and structured carriers, I had to keep one hand on her head to keep it from just snapping back. Again, I thought it was just normal, or that I was doing something wrong, or that all my friend’s babies just had really strong necks. Fast forward to her one-year-old checkup. She couldn’t walk, crawl, scoot, or even roll over yet. Still trying to reassure me, her pediatrician referred her to our Early Intervention program for an evaluation where she was found to have hypotonia and promptly started physical therapy. Hypotonia varies widely in severity and is a symptom that goes along with many neurological disorders. While it isn’t typically a diagnosis on its own, it is usually a symptom of the diagnosis. Hypotonia was our first clue, if you will, that something wasn’t quite right with our daughter. Okay, so we know what hypotonia isn’t, but what is it then? I know, I know, get to the point, lady! Here it is. I’m paraphrasing, but this is what our neurologist told us. The brain sends impulses to the muscles telling them to contract. If the brain pathways are malfunctioning and can’t send the message quickly enough, the muscles are delayed in the contraction. This is hypotonia. It has nothing to do with muscle and everything to do with the brain. The worse the malfunction in the brain, the more severe and “floppy” the baby. If the brain function improves, the hypotonia, or “floppiness,” gets better. 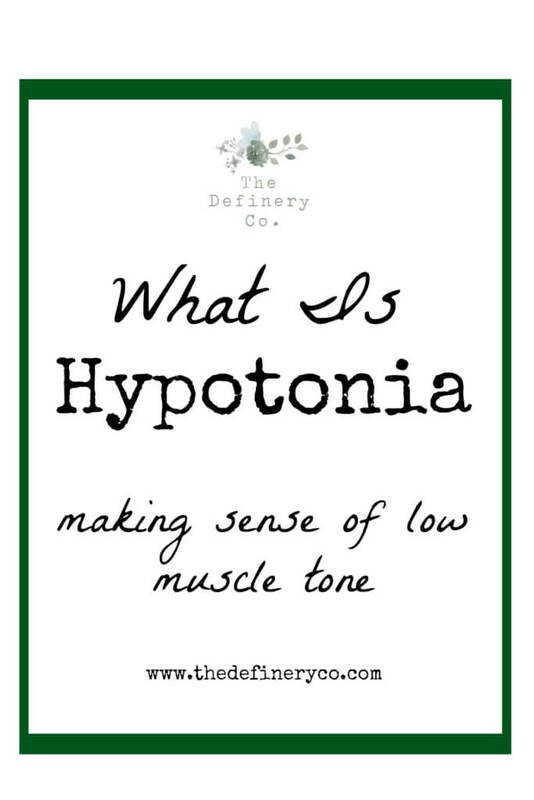 Basically, hypotonia is a neurological problem, not a muscular problem. That being said, how do we treat hypotonia? I think a more appropriate question is how do we treat the symptoms of hypotonia? Since we can’t actually go in and fix the brain connections, we worked on fixing what we can fix–the gross motor delays that hypotonia caused. For us, this meant physical therapy once a week to help achieve gross motor milestones. Because of the neurological delay, it took a lot more focus on muscle work and coordination to bring Elise up to speed, physically. The good news is, most babies that have mild to moderate hypotonia and receive treatment will eventually catch up to their peers. They may never be the most coordinated athletes, but chances are they will reach a point where it would take a discerning eye to tell that there was ever anything wrong. For us, after about 6 months of weekly physical therapy, Elise caught up to the point that she was no longer developmentally delayed in her gross motor skills! She went from not rolling over to walking and running in this time frame. She still isn’t very coordinated and trips over herself often (what can I say, she takes after her mother!) but she is getting there! As always, this is our family’s personal experience with hypotonia and every situation is different. If you think there is a chance your baby may have hypotonia, talk to your pediatrician. He or she can refer you to your local Early Intervention program and they will be happy to asses your child and answer any questions you may have. The best part is that Early Intervention evaluations are completely free, and if nothing else it is a good way to put your mind at ease and give you some answers! Getting help as soon as possible is important, that way your little one can start meeting milestones and live life to the fullest! This post is awesome! Our daughter started PT at 1 and at 14 months diagnosed with Hypotonia (she is 15 months now). You’re post brought me comfort and really cleared up a lot of confusion. We were just referred last week to Neurology to rule out any other issues. THANK YOU!!! I’m so glad you found it helpful! I am sure the neurologist will be a big help in answering your questions and figuring out what is going on! It was certainly a turning point for us. Thank you for your kind words! We’ll be thinking of you guys and hoping you get answers! Aww I feel you on the clumsy gene!! I’m glad you are encouraged!! I can say now, at 4, (with the exception of still being very clumsy!!) I don’t think anyone would be able to tell that she had hypotonia. Once we started PT, the milestones just kept coming! I am sure your son will be the same! !